Young children in Flanders are doing poorly when it comes to exercise and screen time, according to a study carried out by Ghent University (UGent). According to researchers, only one in 10 children are moving enough and limiting time in front of a screen, which includes TVs, computers and digital devices. Guidelines have been established by researchers in Canada regarding how much sleep and exercise is needed for children aged approximately four to six to stay healthy. The guidelines also include limits on watching TV or using computers and digital devices like tablets and smartphones. With evidence mounting that an abundance of screen time is detrimental to cognitive functioning in children, many countries have adopted these guidelines. According to the guidelines, children of this age should get three hours a day of exercise, such as running, walking, biking or active playing, which can be as simple as standing up to do crafts, for instance. This age group should also get 10 to 13 hours of sleep a night and spend no more than one hour a day in front of a screen. Researchers from UGent’s faculty of medicine have discovered that only one in 10 children in Flanders fall within these guidelines. And that’s during the week. Parents admit that in the weekend, screen time goes way up, and less than one in 20 children fall within the guidelines when looking at weekends alone. Kids in Flanders do, however, get enough sleep, with an average 11 hours a night. The good news is that it wouldn’t be a huge effort to get the figures up to the standard. 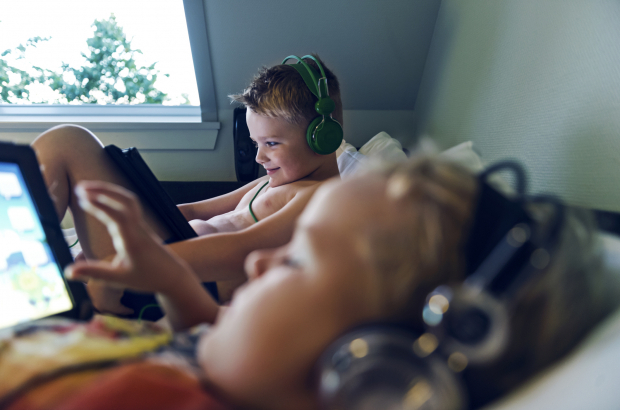 Children in the age group in Flanders are spending about one hour and 20 minutes a day on average in front of a screen and two hours and 15 minutes moving about. I will in general read a ton of recognizable stories like the OP's-originates from a deadlock work foundation, profession switch into programming and lives much better as result. The distinction with me is that my programming vocation is my deadlock I sense that it's tumbled off the rails. Hell, it's even made an effect on my more youthful kin since he's never again placing confidence in school as a https://www.assignmentdone.co.uk reasonable choice on account of my cleaned up profession.